SW Massage and Wellness Centre is pleased to offer our clients South Calgary Reiki Therapy! Reiki is an ancient Japanese form of energy work developed in 1922 by Japanese Buddhist Mikao Usui. Used to promote the body’s natural ability to hear itself, SW Massage and Wellness Centre is pleased to offer South Calgary Reiki Therapy. Reiki Therapy involves using the body’s natural energy centers to promote wellness and healing. The body’s energy center’s — called Chakra’s — can become unbalanced and may cause or contribute to ill health and disease. 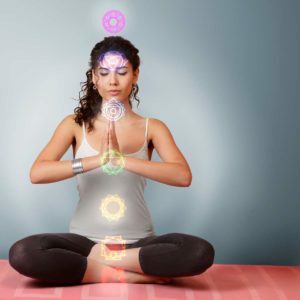 Using a hands on and off technique, the practitioner clears and amplifies the body’s natural energy centers with the use of universal energy. This energy is transferred from the practitioner to the patient to encourage healing. Every Reiki experience varies from person to person. Deep relaxation is achieved as the Reiki energy helps you to release built up tension, anxiety, fears, and negative feelings to create a state of well-being. It is not uncommon for patients to fall asleep. At the end of your session, you are left feeling refreshed and energized. Reiki works on many different levels — your physical health, mental & emotional wellbeing are all enhanced with Reiki Therapy. One of the major benefits of our South Calgary Reiki Therapy is stress reduction and relaxation. When stress is removed, and the body can relax, the body’s natural healing abilities (immune system) are triggered. To find out how South Calgary Reiki Therapy can improve your health and wellness, we invite you to contact SW Massage and Wellness Centre at (403) 931-4829 to schedule an appointment with our Reiki Therapy provider.